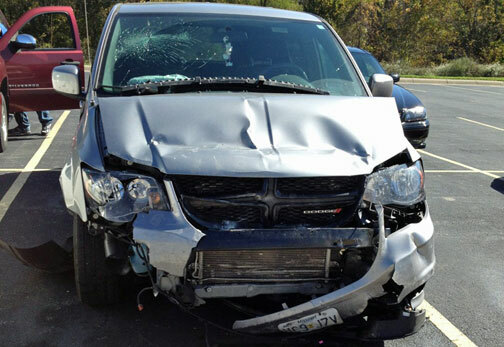 According to the Missouri State Highway Patrol (MSHP) 39-year-old Angela Foldi, who was traveling eastbound on Highway 100 in a 2013 Dodge Grand Caravan struck the rear end of a 2013 Dodge Avenger, also traveling eastbound on Highway 100. 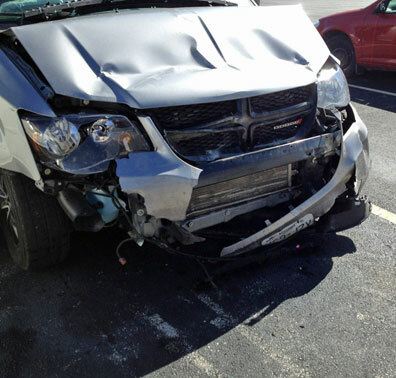 This morning’s accident was the cause of the minor traffic backup on Highway 100. The driver of the Dodge Avenger was 42-year-old Staci Woodward, who sustained minor injuries and was transported to Mercy Hospital in Washington by Washington EMS. A passenger in the vehicle with Foldi, 90-year-old Neva Andrews was also transported to Mercy Hospital with minor injuries. The MSHP said that Foldi did sustain minor injuries but was not transported to the hospital by ambulance. According to the MSHP all three occupants were from New Haven, Mo and were wearing their seat belts at the time of the accident.